A letter alleged to be written by former president Murli Manohar Joshi to party patriarch LK Advani with the news agency ANI watermark has gone viral in the social media. Although the news agency has termed it as “fake”, contents of the letter throws enough hints on the raging fire within the BJP over sidelining the two party seniors, credited with bringing the party to this level. 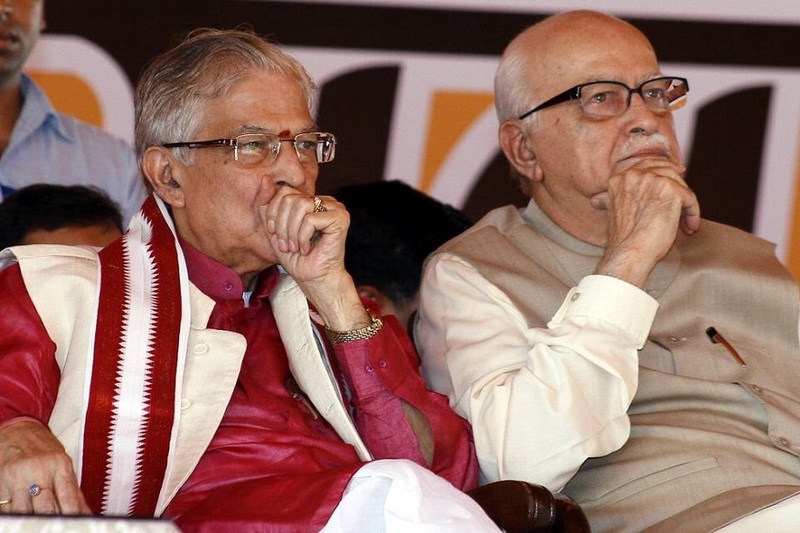 Both Advani and Joshi have been denied Lok Sabha tickets this time on their age-grounds. The letter claims the BJP will not be able to win even 120 seats in the elections this time. In the last LS polls, the BJP has alone got the majority in the Lok Sabha. “The BJP will barely get 8-10 seats in the first phase of LS polls held on 91 seats owing to falling poll percentage while there is nothing to cheer for the party in the second and the third phase,” reads the letter. The letter states that Joshi faced much pressures to contest elections on SP/BSP ticket but he denied the request despite the fact that he was meted out humiliating treatment from the party. The ANI termed the letter as fake after it went viral on the social media. “No such letter exists. This is fake,” tweeted ANI.